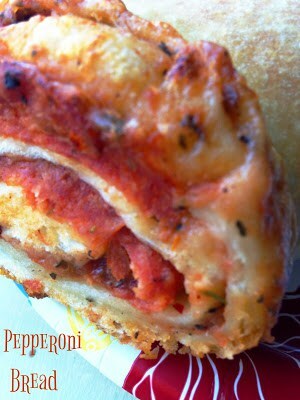 Ahh, Pepperoni Bread. Yummy, Cheesy and Delicious. Looking for a fast, easy and very affordable lunch or dinner option? 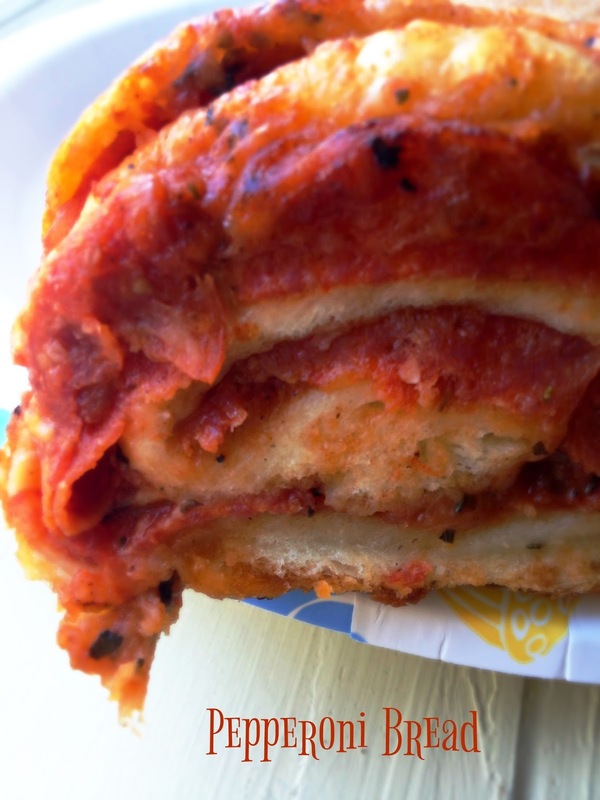 Then you’ll want to give this delicious pepperoni pizza bread a try. Made with a loaf of frozen (thawed) bread dough, shredded mozzarella cheese, canned pizza sauce and packaged sliced pepperoni. With a line up like that, it’s gotta be good! 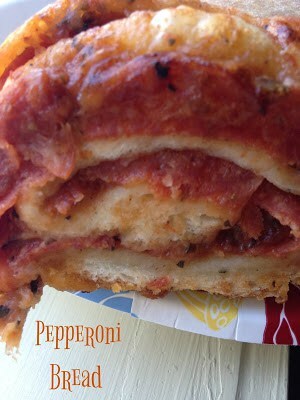 Not only is this bread great for lunch or dinner, it makes a fantastic appetizer for any party. 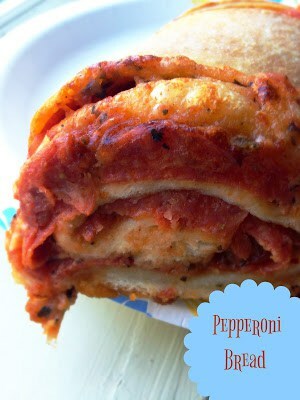 Another plus, pepperoni pizza bread makes great left-overs. If you are lucky enough to have left-overs, wrap the left-overs in aluminum foil and reheat in the oven at 350 degrees for 20 to 30 minutes. Lightly flour work surface. Place thawed dough on floured surface; lightly flour top of dough. Flatten dough with hands, then using a rolling pin, roll dough into a rectangle, about 1/4 inch thick. Add extra flour, as needed, to prevent sticking. Top dough with sliced pepperoni, spoon pizza sauce over pepperoni. Sprinkle mozzarella cheese and Italian seasoning over top, leave a one inch border around edges. Brush the edges of the dough with water. Roll up the dough, making sure to tuck in the sides. Place filled dough on prepared baking sheet. Brush the top and sides of filled dough with olive oil. Make 4 to 5 slashes in the top of the bread. Bake for 25 to 35 minutes or until dough is golden brown.